Are you serious about saving money and time? Then why not buy your food in bulk and quickly slice it down to size for storage and consumption? 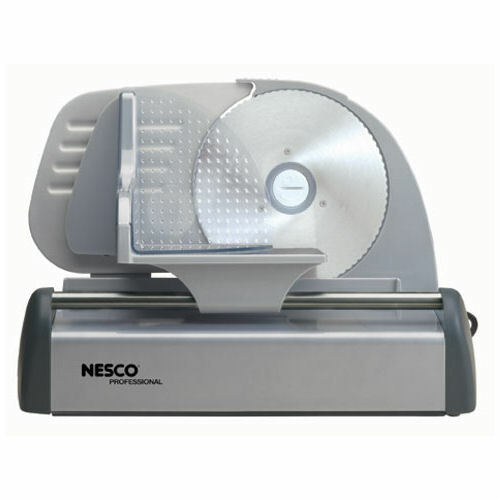 The Nesco Professional Food Slicer is the perfect tool for this task. Whether you are slicing big game, lamb, steaks, cheese, cold cuts or bread, you will enjoy using this machine. The cutting mechanisim is adjustable, which gives you complete control over the cut size. The unit features a heavy duty 150 watt motor - plenty power for the toughest cutting jobs. The power motor, along with a large stainless steel, undulated blade, guarantees a clean cut everytime. And when your cutting work is complete, clean-up is a breeze. The slide bar and carriage are removable for easy and effortless cleaning. The die-cast aluminum housing makes this food slicer durable for long time use, while the non-slip rubber feet add stability. Enjoy deli-style slicing within the comfort of your home with this high-quality, aluminum food slicer. * The elegance of European design and the performance of a professional food slicer. * 150-watt motor for reliable cutting power. * 7-1/2" Solingen stainless steel undulated blade produces precision cuts. * Stainless steel blade prevent foods from sticking to blade. * Adjustable thickness control from 1/32" to 1/2." * Non-slip feet prevent unit from moving during use. 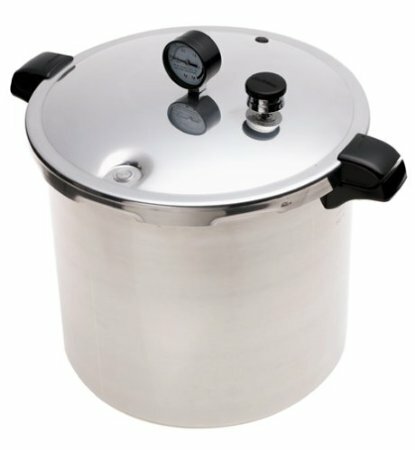 * Ideal for cold cuts, meat, vegetables, cheese, bread, and more. Reading this makes my deosiicns easier than taking candy from a baby. 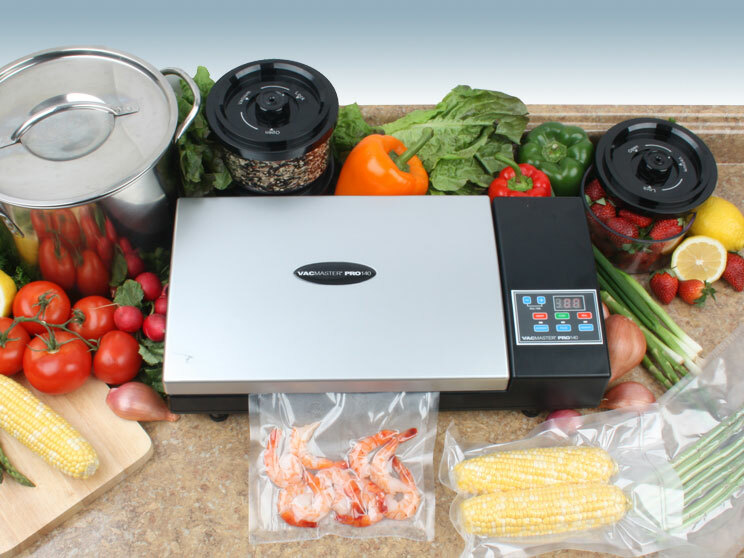 A professional quality vacuum sealer.